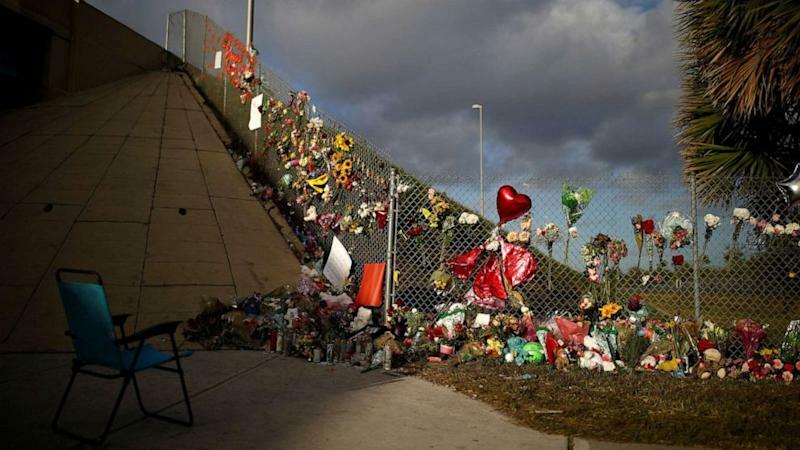 The death of a second teen from Marjory Stoneman Douglas High School and the death of the father of a Sandy Hook shooting victim have put a spotlight on suicide and the rippling effects a mass shooting can have on survivors. 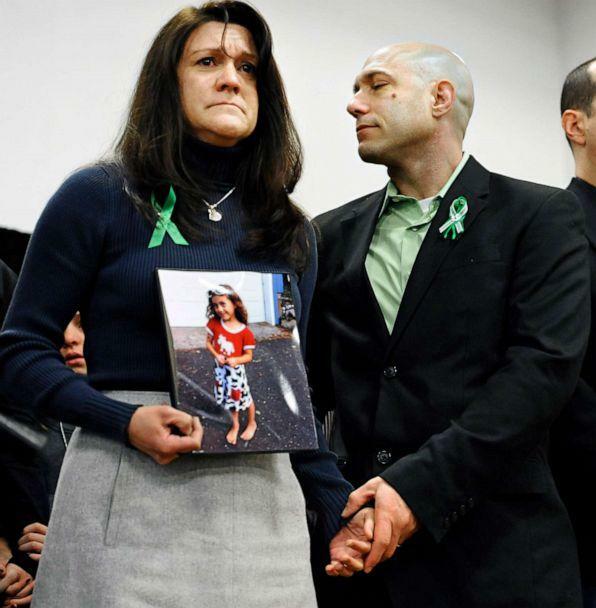 Jeremy Richman, whose 6-year-old daughter, Avielle Richman, was among the 26 children and educators killed in the Dec. 14, 2012, mass shooting at Sandy Hook Elementary School, was found dead Monday morning from an apparent suicide, according to police in Newtown, Connecticut. In Florida, a student currently enrolled at Marjory Stoneman Douglas High School, where 17 people were killed on Feb. 14, 2018, was found dead Saturday night in an apparent suicide, according to police in Coral Springs, Florida, a town about 10 miles from Parkland, Florida, where the high school is located. The student, whose name has not been released, was a sophomore at the school, sources told The Miami Herald. Last week, on March 17, former Stoneman Douglas student Sydney Aiello, 19, died at her home in Coconut Creek from a gunshot wound to the head, according to the Broward County medical examiner's office. Aiello's mother told CBS Miami station WFOR that she suffered from survivor's guilt and had been diagnosed with post-traumatic stress disorder. Aiello was friends with Marjorie Stoneman Douglas victim Meadow Pollack, 18, Pollack's brother, Hunter Pollack, tweeted last week. It was devastating to bury another beautiful young person in Parkland today. Our community is going through tragedy again. Please keep the Aiello Family in your prayers. Rest in peace, Sydney. Please take care of my sister. Broward County Public Schools, which oversees Stoneman Douglas, announced Monday that parents and representatives from more than 10 organizations in Broward County met Sunday to "discuss what we can do to help students at MSD and children throughout the county cope with trauma and depression." "A preliminary plan was created for a community-wide campaign to reach and empower parents with tools to help protect their children. The first step was to develop a common message to cut through the clutter, so parents and youth have the same understanding about warning signs and where to turn for help," the statement read, in part. "It is important for parents to talk with their children and be able to recognize signs of personal crisis that could lead to suicide. Parents need to ask the screening yes-or-no questions from The Columbia Protocol to identify if someone is in crisis, and they should not worry that asking about suicide will put the idea into their children’s heads. The questions can be found online at cssrs.columbia.edu." David Hogg, a Stoneman Douglas shooting survivor who has become an activist for gun reform, tweeted about his former classmates' deaths, calling for more money to be spent on mental health in schools. He recalled how quickly he and other students went back to school and were expected to return to "normal" after the shooting. Also putting a msd strong sticker on everything and acting like everything is fine while everyone is in pain yet no one is talking about it is not how we stop this. The "#NeverAgain: A New Generation Draws the Line" author also encouraged his followers to share the ways they cope, including their self-care routines. In 2016, suicide became the second leading cause of death among those aged 10-34, according to the U.S. Centers for Disease Control and Prevention (CDC). Nearly 9 percent of young people in grades nine through 12 reported that they had made at least one suicide attempt in the past 12 months, according to data compiled by the American Foundation for Suicide Prevention (AFSP). Suicide is ranked as the 10th leading cause of death for all ages in the U.S. Since 2006, suicide rates have been increasing by a staggering 2 percent each year. Talking about suicide, and about mental health more broadly, can make all the difference in raising awareness and helping to prevent it, experts say. Here are warning signs for suicide, as well as steps people can take to spread awareness and potentially save lives. If you are having suicidal thoughts, call someone, anyone: a friend, neighbor, family member, religious figure, hospital, doctor, mental health specialist, the police department or the National Suicide Prevention Lifeline at 1-800-273-TALK (8255). It is important to remember you are not alone and people do want to help you, regardless of what you think. The strongest risk factor for suicide is a previous attempt at suicide, according to the American Psychiatric Association. Suicide is often linked to mental disorders, particularly depression and alcohol use disorders. Certain events and circumstances may increase risk for suicide, such as having a psychiatric illness including depression, bipolar disorder, schizophrenia and anxiety disorders. While depression is a contributory factor for most suicides, it does not need to be present for a suicide to be attempted or completed, according to the AFSP. Other risk factors for suicide include chronic physical illnesses, family history of suicide, history of exposure to trauma or abuse, recent losses or life stressors, military service, feelings of hopelessness and impulsiveness, misuse of alcohol and drugs and access to lethal means such as firearms, experts say. Suicide risk also increases with age. What warning signs should family and friends look for? Significant changes in behavior are major warning signs that a person, especially one with depression, may be slipping closer to suicide, Dr. Dan Reidenberg, executive director of Suicide Awareness Voices of Education (SAVE), told "GMA" last year. If someone with depression is acting out of character, it is time to ask more questions and get others involved and take action, he explained. Other changes in behavior that may be red flags are withdrawal from family, friends, work and social activities, a change in activity level, increased anxiety, restlessness or agitation, and a lack of sleep. "Look and listen for warning signs because it is not as if just one morning someone wakes up and says, 'Today is the day I’m going to do this,'" Reidenberg said. "It happens over time and falls on a continuum." How can you help a suicidal person? The most important thing loved ones can do is to be available, experts say. Being available can mean being there to listen, without judgment, and to check in continually to say something as simple as, "Hi, how are you doing? I'm available and around," explained Reidenberg. "Reassure them that they are important to you, you want them to be around and want them to be well," he said. "The reassurance that people care by statements and words mean a lot to someone who emotionally is drained from the depression." Interested in ways to protect your own mental health? Read how a coffee date and five other tips can help you thrive. Being willing to move past the stigma of speaking about depression is important. 1. Ask: There is a common misconception that asking someone if they have or if they are considering killing themselves puts the idea in their head -- it does not. Do not be afraid to ask! 2. Keep them safe: If someone admits to considering suicide, it is important to seek immediate medical attention, especially if they shared their plan with you or have access to firearms.